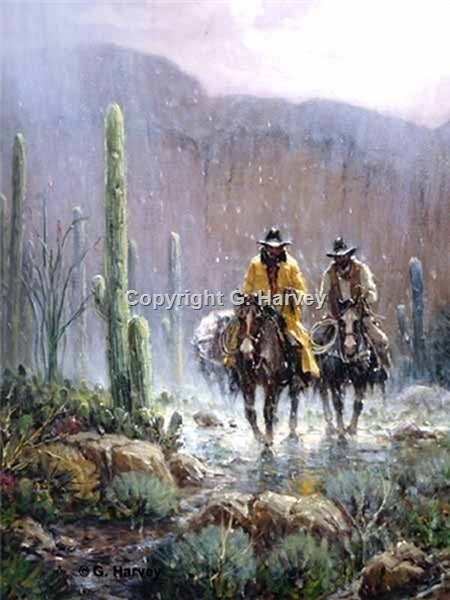 Cowboys ride through "cactus country" as rain pelts them and the landscape. Hopefully, the rain is followed by cooler temperatures. It certainly will be followed by beautiful flowering cactus encouraged by the moisture which is certainly a gift from God.